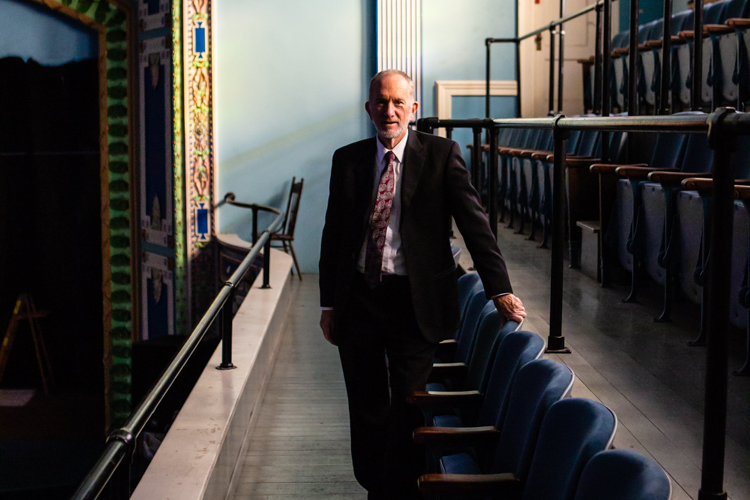 From construction to a devastating fire, to being rebuilt and now being restored, Bay City's Masonic Temple wants to carry that spirit of rebirth into Bay County with new, arts-based programs. 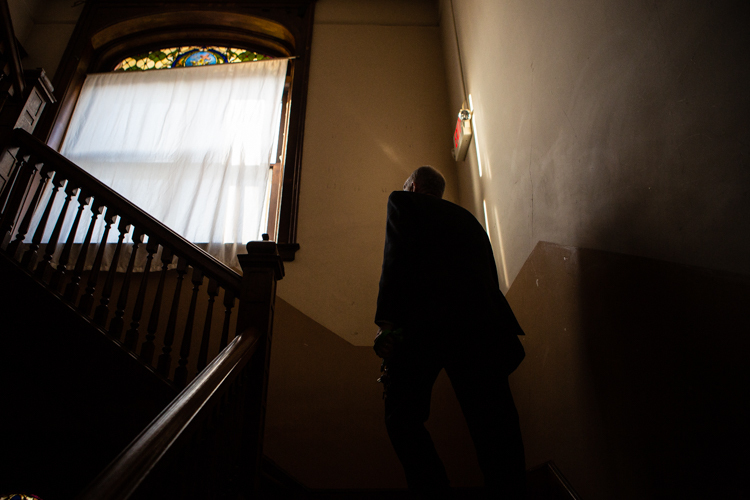 Route sent writer Ben Wieland and photographer Ashley Hoffman over to the temple to create a photographic walkthrough of the Temple and report on new renovations and initiatives both currently underway and planned for the future. 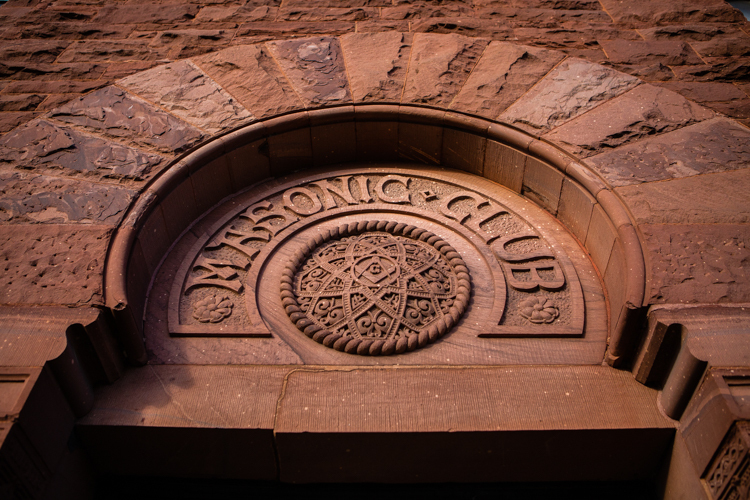 Originally built in 1893, the historic Masonic Temple at 700 North Madison Avenue in Bay City, Michigan, was designed by the same architectural firm that designed the historic City Hall and First Presbyterian Church. In May of 1903, the newly completed Temple was destroyed by fire. All that remained of the building were the vertical walls; the entire roof, including a 114 foot-high tower and three Moorish Domes, was completely destroyed. The Masonic fraternity immediately set out to rebuild the building, and the restoration of the Temple was completed in 1905. 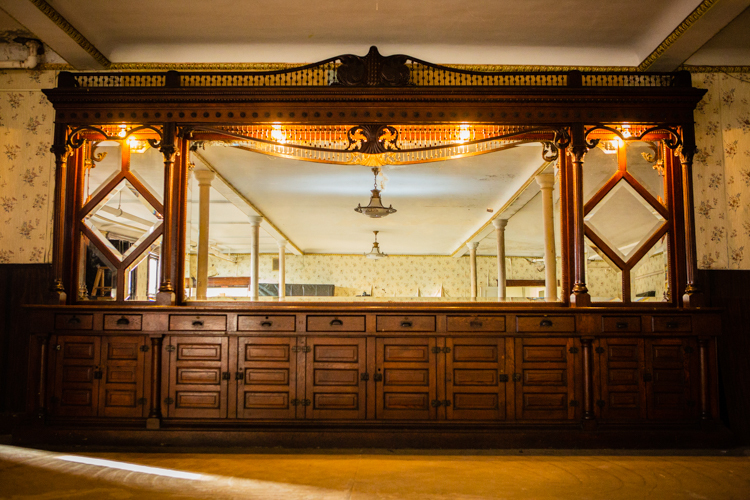 The Bay Arts Council purchased the building from the Joppa Lodge Masons in 2005 to save it for its cultural, historic, and architectural importance. 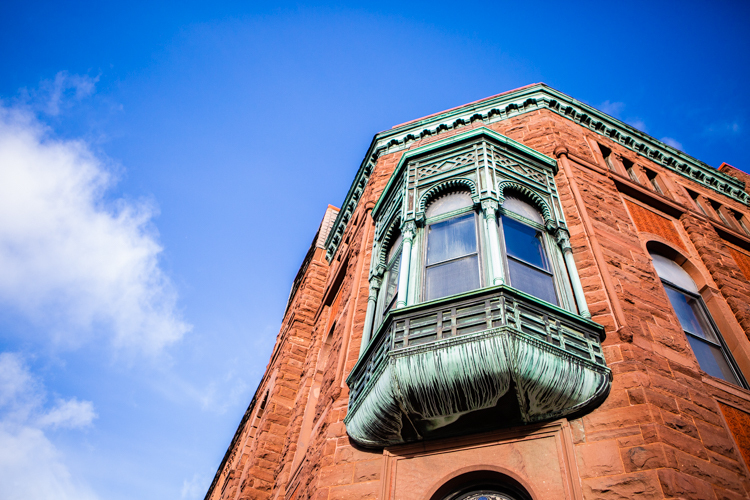 With significant performance spaces in the building, the Bay Arts Council believed the building could serve as an important venue for arts programming. 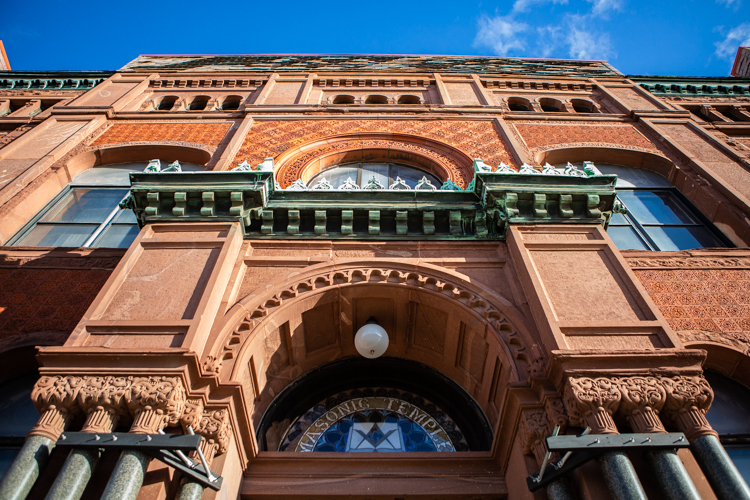 In 2011, The Bay Arts Council formed the Friends of the Historic Masonic Temple of Bay City (Friends) to develop the vision and the plan for the use of the building, to make it self-sustaining, and to raise the funds to preserve and renovate it. 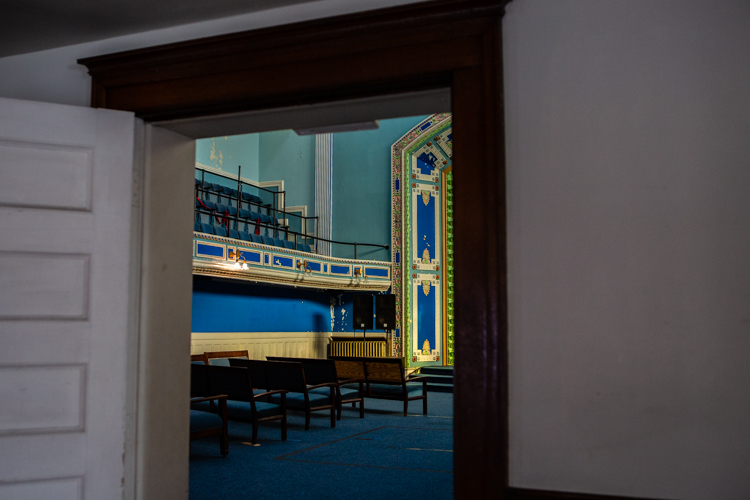 According to Keith Birchler, a member of the Friends of the Masonic Temple, the restoration effort is moving along quite well. The friends have already managed a full repair of the roof with the aid of a number of local grants given by the Bay Area Community Foundation, the Kantzler Foundation, and Smith Foundation. These grants covered approximately 90% of the cost of the repair. In addition to the roof, 40 feet of cracked cast iron drain piping was ripped out and replaced. 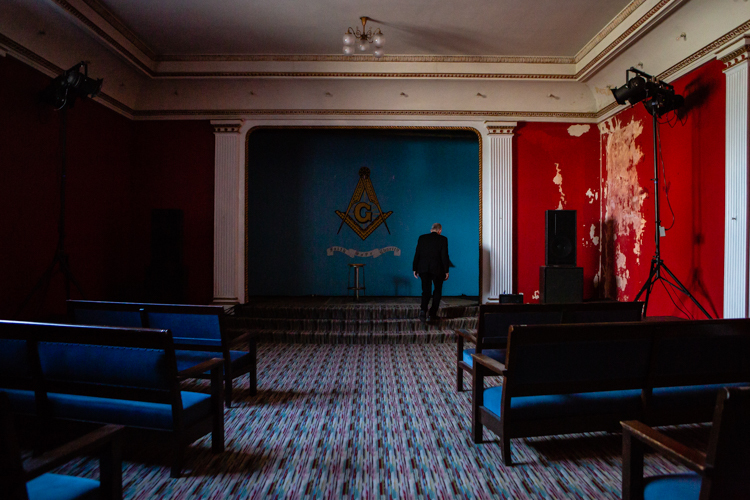 Birchler and the rest of the Friends of the Masonic Temple want to educate the community about the Temple, about the services they aim to provide, and the events that are already being held there. They say that there is a strong opportunity for the Temple to fulfill its goal to host community arts performances and education and become cultural gathering place. "Area public school music teachers have identified a need for affordable private music instruction for middle school and high school students who desire to improve their skills," Birchler says. "No local school system offers string orchestra. A string music program offered by a private school would fill a need. 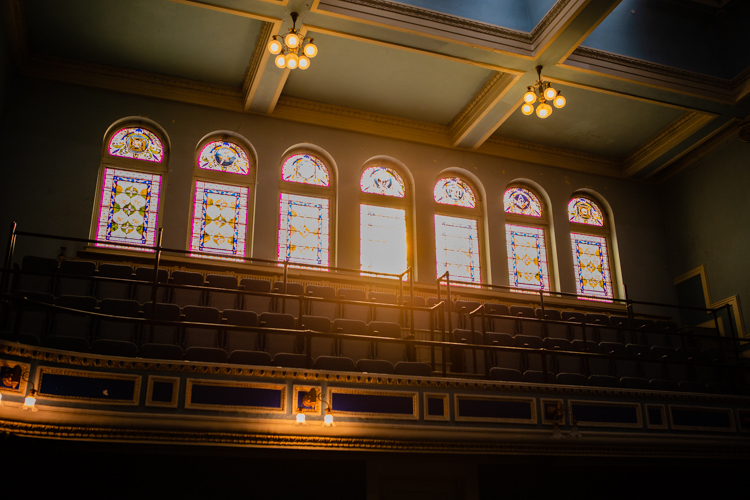 The Temple plans to fill the community's need for arts education by establishing a community school for the arts that would funded by student fees, donations, and grants. 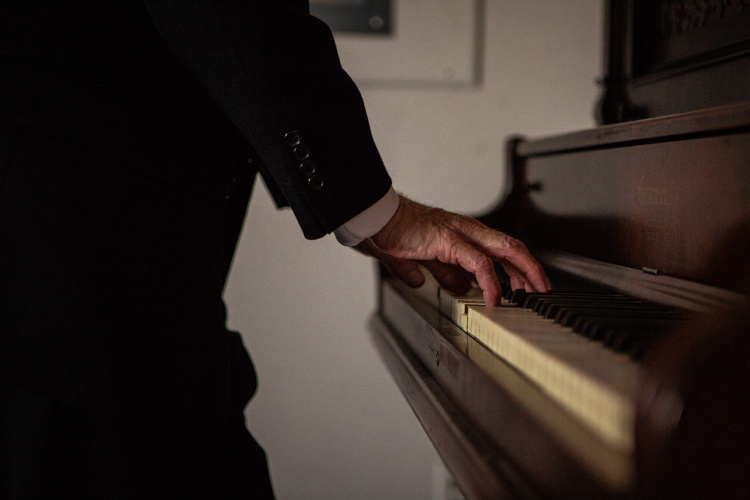 The many rooms in the Temple could become performance spaces, as well as classrooms that would provide individual and group music instruction for both children and adults. Plans are also in place for instruction to include video production, drama, and culinary arts. The Friends is currently sponsoring a new, grassroots performance troupe called "The Vanishing Elephant Players" which presents live theatrical performances including Off Broadway, contemporary shows, and original works. 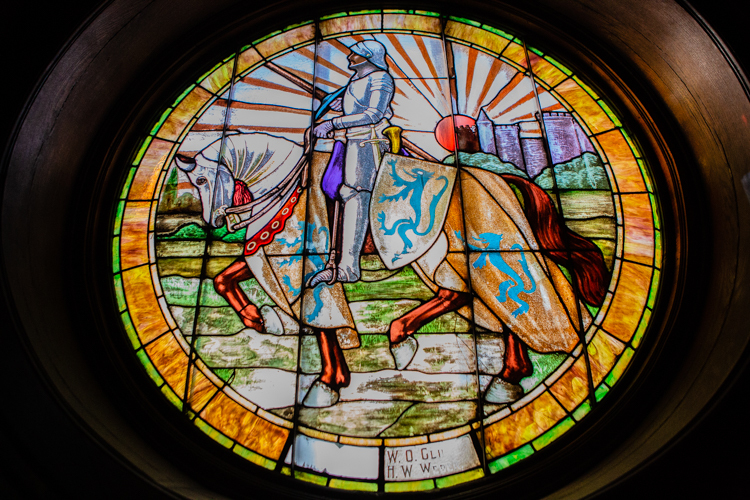 People wanting to make donations to assist with current operations and maintenance can be made directly to Friends of the Historic Masonic Temple and mailed to 900 Center Avenue, Bay City, Michigan 48708. All contributions are tax deductible.